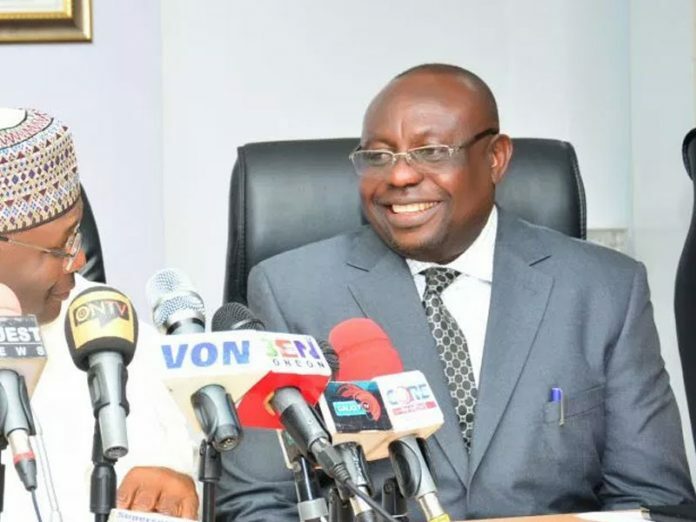 The Independent National Electoral Commission (INEC) has assured that it will not postpone elections in any part of the country on account of recent fire incidents which affected its offices in Abia, Plateau and Anambra States. INEC’s position is coming as the United States of America and United Kingdom have stated that conducting credible elections remain critical to Nigeria’s future. The National Commissioner in charge of Information, Publicity and Voter Education, Mr. Festus Okoye, who spoke at the unveiling of the Civil Society election Situation Room Hub in Abuja, said: “As for the election, we are good to go, although we had some challenges due the fire incidents but we have recovered all the smart card readers and as speak, we are moving all the sensitive materials needed for the elections in Anambra. We are not going to postpone elections in any part of the country on the grounds of these incidents,” he assured. In the build-up to the polls, the British High Commissioner and United States Ambassador have said that a credible presidential poll on Saturday will send a positive signal to the international community and investors that Nigeria is consolidating on her democracy. On his part, the United States Ambassador to Nigeria, Mr. W. Stuart Symington said the whole world is waiting to hear from Nigerians speak on Saturday and to see how far the polls reflect the opinion of every citizen. Also, the United Nations representative, Ibn Chambas urged INEC and the security agencies to be fair during Saturday’s presidential election.